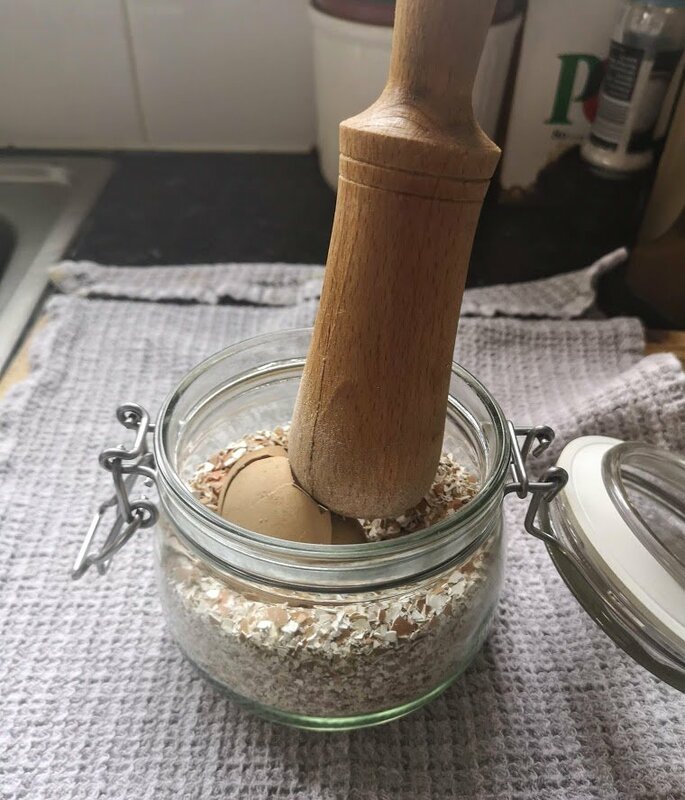 Did you know that crushed eggshells have various fantastic uses in the garden? I knew about using them to deter slugs and snails (my last post talks about this), but had no idea about any other benefits. My aunty in Spain has a patio full of beautiful and lush plants. I asked her what the secret was, she said she used crushed eggshells scattered around the soil. I had never heard of that before so I decided to investigate a little. As it turns out, there are lots of uses for crushed eggshells that I never knew about. 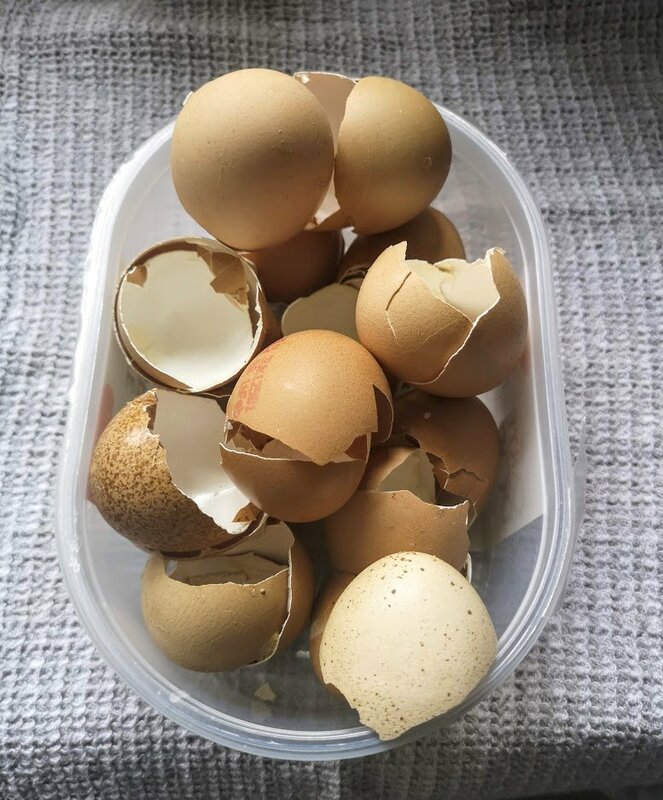 I know people who just throw their eggshells onto their compost heap, but there are other useful ideas to consider when deciding what to do with them. To use them for any of the suggested ideas, I recommend that you dry the eggshells and sterilise them first. Drying them out really well prevents the harbouring of salmonella bacteria. You can also dry out the shells in your oven, either after baking or by setting it to a low 90 Celsius (200 F) degrees. Leave them for about 30 minutes. I wrote about this in my last post and it has saved my Lupins from being munched into oblivion. I know it worked because the previous year I kept finding lots of snails and slugs around the Lupins. Once I started sprinkling crushed eggshells around them, the enemy seemed to retreat. My Lupins grew and all was well. I know there are very few scientific tests to prove if there is any truth in it, in fact I couldn’t find any that backed up this claim. All I can say is that it worked for me and it’s worth a try. This is fun and easy to do and a great little project you can involve your kids in. 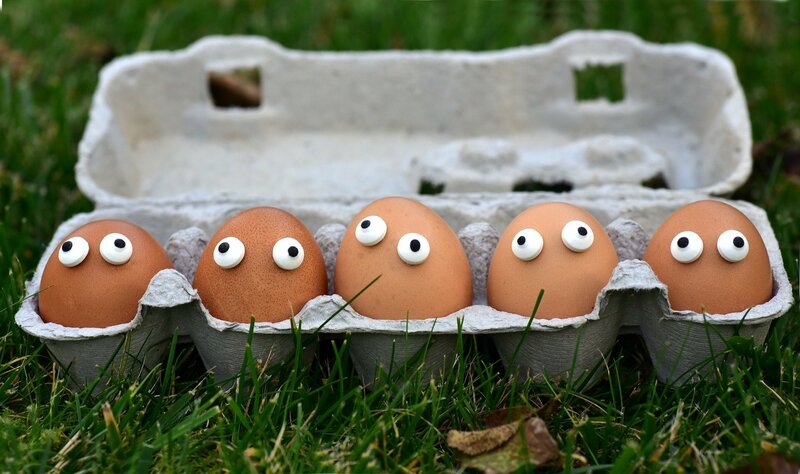 Start by saving your eggshells from breakfast and make sure they are really dry before beginning. Fill the eggs with soil and sow your seeds directly into them. 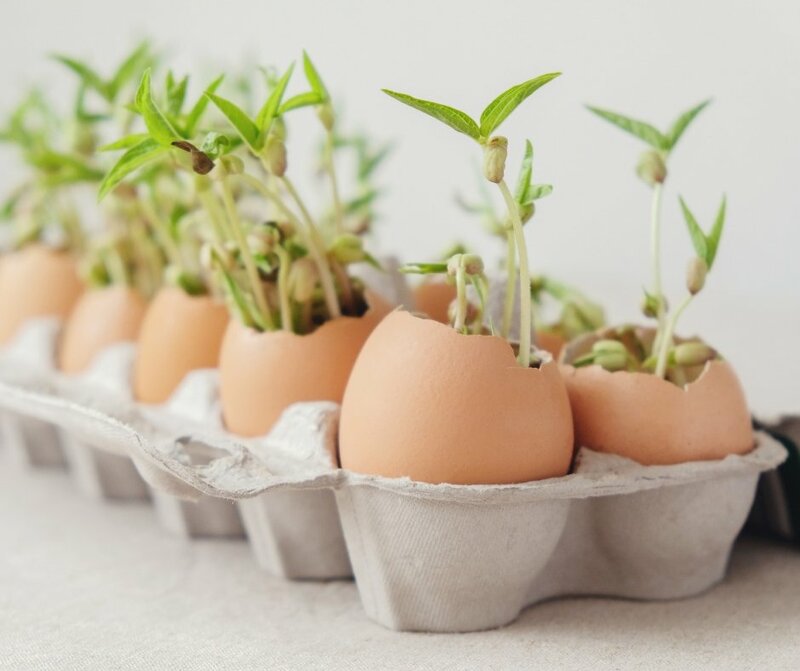 The advantage is that once the seedlings grow, you can just transplant them into the ground or pot while still in the egg. The eggshell will simply break down and release calcium into the soil. This may seem odd but apparently birds can benefit from eating crushed eggshells. It supplements their need for calcium and the coarse texture helps food to digest better. Here is an article that explains how to prepare the shells and why it’s a good idea to use them. I haven’t tried this myself yet, if you have done this or know of anybody who is using this method, I’d love to hear from you in the comments. My research into crushed eggshell uses for the garden started with my auntie’s tip on using them around her pot plants. So this is what I found out when I did a bit of research. I didn’t know this but eggshells contain over 90% of calcium carbonate (CaCO3) and other nutrients that are beneficial for plants. Now, if you have ever thrown your eggshells onto the compost heap, you’ll know that it can take ages for the shells to disintegrate. So that the nutrients can be absorbed more easily, you need to crush the eggshells as finely as possible. You can crush them by using a mortar and pestle (which is how I crush mine) or simply crush them in a plastic bag. For this just take an ordinary sandwich bag or small supermarket bag and place the clean and sterilised eggshells in it. Then crush them by hand or by gently smashing them with a rolling-pin or using the back of a plate or a mug. My aunty in Spain then just sprinkles the crushed shells around her pot plants and they seem to reward her with beautiful foliage and blooms. I have also found that some vegetable growers like to add the crushed shells around their tomato, pepper and aubergine plants. It’s definitely something I will try as it’s so easy. The finer you crush the shells, the easier it will be for the plants to absorb the nutrients. However, the calcium carbonate is still not the ideal state for the plants to absorb the needed calcium. For the plants to absorb the nutrients easily, you need to turn them into a water-soluble solution. You can do this by using white vinegar. First you have to crush the eggs as finely as possible. You could even put them through the coffee grinder to make it easier. Then you mix equal amounts of eggshells with white vinegar. So a cupful of eggshells, for example, and a cupful of vinegar. The shells and the vinegar will react. You will see it bubbling up. Let it sit for about 30 minutes. Don’t worry that the acid in the vinegar will be harmful to your plants. The eggshells will actually neutralise the acid. Not all of the eggshell will dissolve, but most of it will turn into water-soluble calcium. You can now add this mixture to your watering can and use this as great way to supply your plants with calcium. The bits of eggshell that haven’t dissolved will continue to release calcium into the soil over time and the calcium that has dissolved in the water will be easily absorbed by the plant’s root system. This particular calcium feed is great for tomatoes, peppers and aubergines as it helps prevent blossom end rot together with consistent watering. It is also said to reduce tip burn in cabbages. 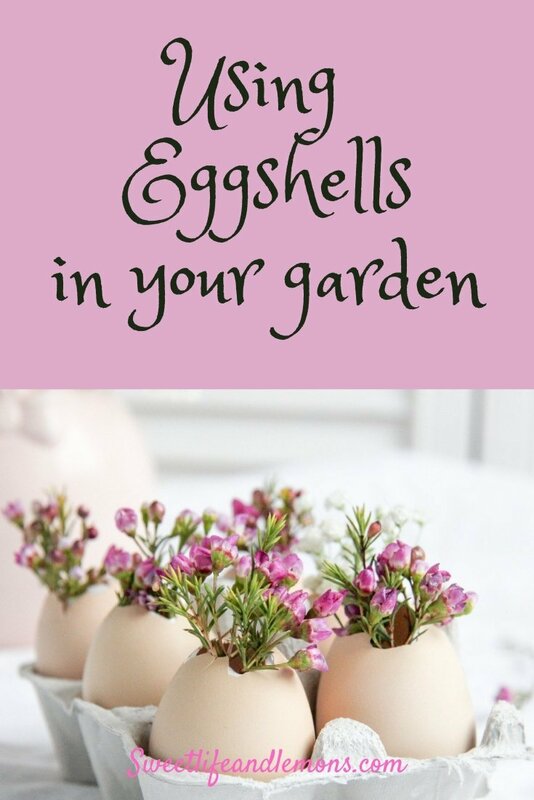 I hope this post has given you a few ideas about what to do with your eggshells. Let me know if you have tried or are going to try any of these tips, I’d love to hear about your experiences.